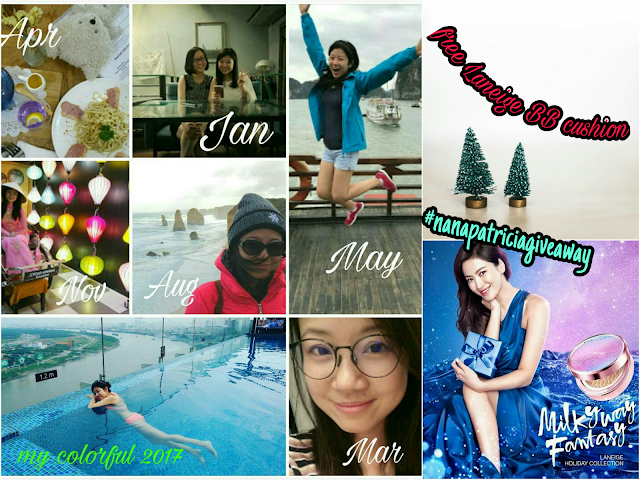 Nana Patricia | ♥Where ideas come to life♥: [Giveaway] Bye 2017 & Hello 2018! [Giveaway] Bye 2017 & Hello 2018! I remember when i was young, i used to write down my new year resolutions in my diary. But i'm not going to write down my new year resolutions today. I did a video in January for my rose shape dumplings! I went to Singapore and visited the Flower Dome! a lovely and trusted online store - shop your contact lenses online now! They are having Christmas & New Year Sales now! Don't missed your chance for great deals! Same time, i wrote about the Myths of Blue Cut Lenses! about the Myths and Important notes about Blue Cut Lenses! I'm wearing Blue Cut Lenses for all my glasses now! To me, April = Birthday! Yeah, i had my birthday in Singapore! My bff in Singapore had spent me a good meal in Singapore! 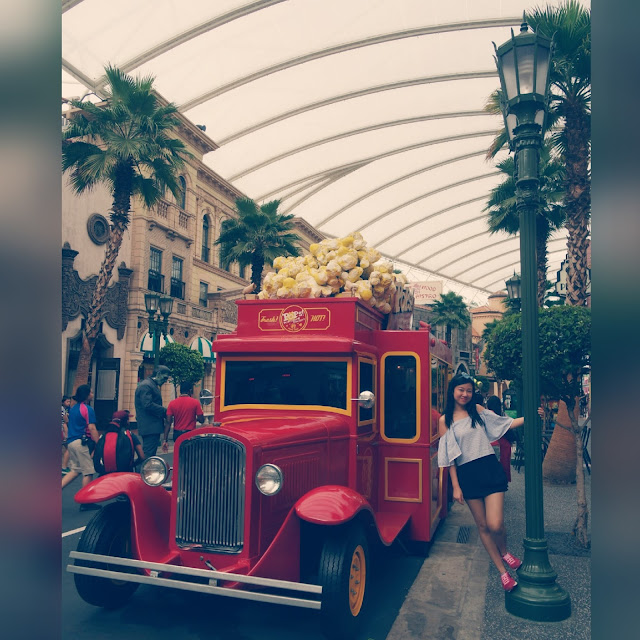 I went to Universal Studios Singapore as well! Happy 33th Birthday to me! Besides my birthday celebration in Singapore. I managed to unlock one more nice cafe in Petaling Jaya! Hmm .. had my 1st 5km fun run in SCKLM2017! a little bit regretting for not taking the 10km category! I've told myself to challenge 10km category in SCSM2018! 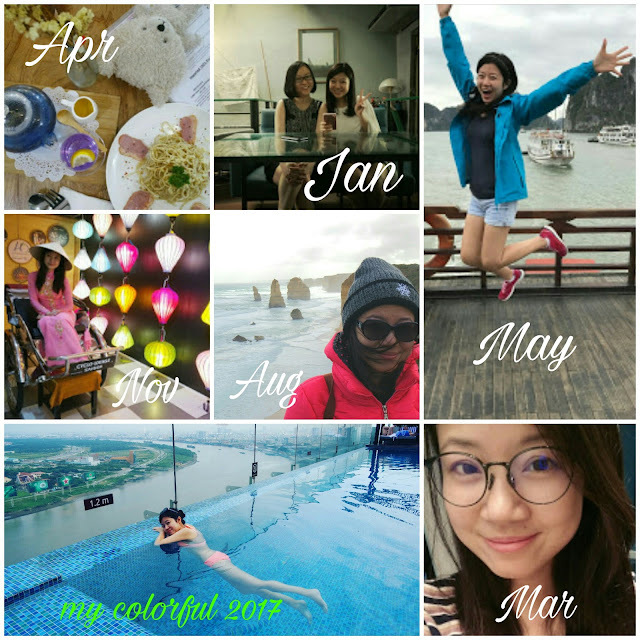 June was a happening month to me, i went for a BFF trip with my favourite girls! We went to Hanoi & Halong Bay for a cruise trip! let my photos and reviews here tell you the entire trip! 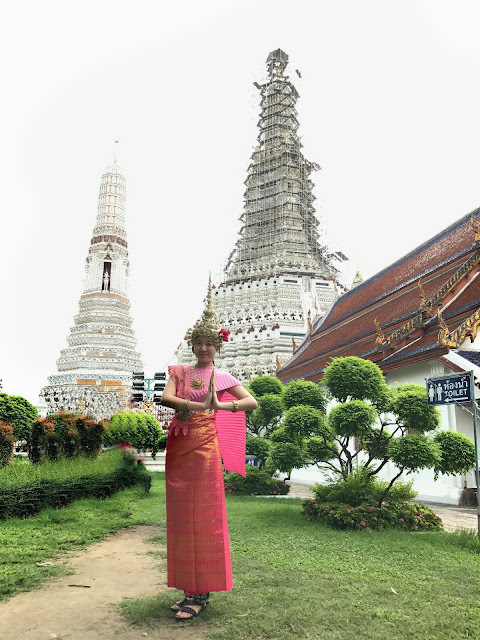 in July , i went to Bangkok for a short weekend getaway and visitation to my love one! This will be the first time i stepped my foot on Bangkok! I fall in love with this shopping paradise immediately! and tell u a huge secret! I brought an empty luggage with me! All my fashion in the photos below were actually "bought & wore" on the spot! read all here. August = I love Melbourne month! Yup, i went to Melbourne in August! First time in my life, i get to see Kangaroos, wallabies, blue penguins, koala! alternatively , let my video below tells you a thousand words of story! September 2017 was the mooncake festival month! Shanghai mooncake was the most easiest mooncake recipe in the world. don't say i "boh" share ya! And she revamped the whole website to a mobile responsive website! What do you think about this little change of her blog? 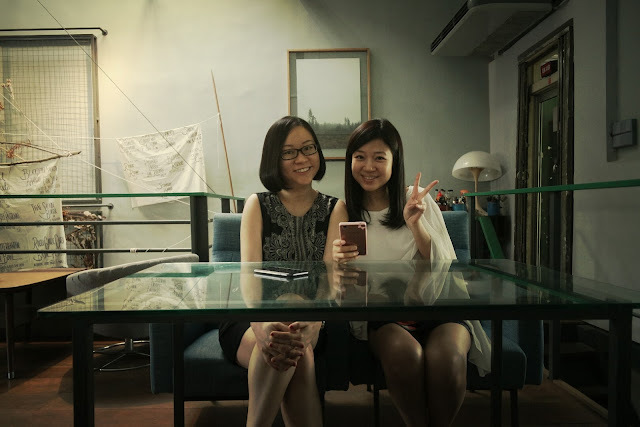 In the same month, NanaPatricia went for a staycation trip in KL with her bff again! Click the video below for more! November was the month i had my 48hrs in Saigon! 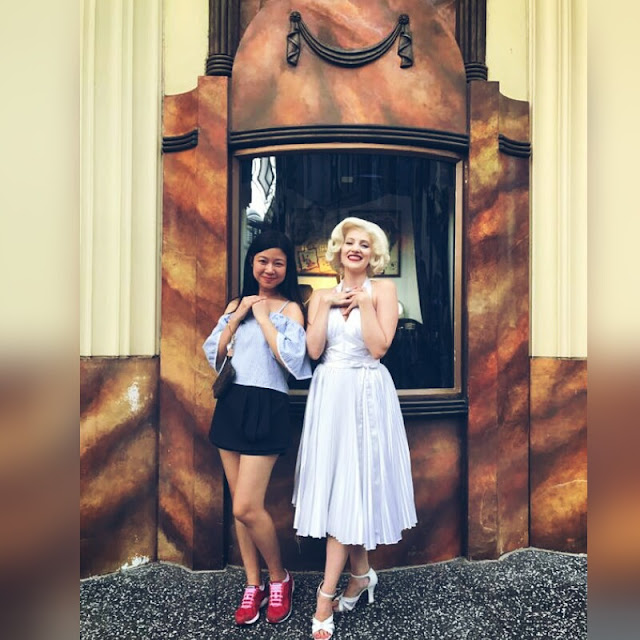 i went to Ho Chi Minh City to meet my love one! Click here to find out more on the reviews and what to do in Saigon..
Or ... you may enjoy my vlog below! I love to visit Singapore during Christmas month! For the Christmas lights & decorations in Orchard of cuz! But , actually do you know that Malaysia especially KL has very nice decorations too! Enjoy my video below for the Christmas decorations at places i went! Okay, in this month of Festive Season , i want to be a Santa Claus for someone too! As i wrote this last post of mine in 2017, i would like to give away one of my favorite cosmetics - Laneige BB Cushion to one of the lucky sista from my list of readers! #nanapatriciagiveaway ends at 13 Jan 2018 , 11:55pm. I think 2017 has been real good to me, it was truly a good good year! After i've done all these past events compilation and bla bla bla... and i noticed..
hey , I've traveled to 4 countries in a year! Vietnam was repeated twice in a year! and Singapore was like my 2nd home, went there numerous of times in a year! I do hope that 2018 will be a year filled with lotsa overseas trips! something big in my life gonna happen! A real big big project in my life! Stay tuned with me and you shall know it very soon! Last but not least, Merry Christmas & Happy New Year!